Unstuffed cabbage rolls are a savory blend of rice, tomato sauce, ground beef, sausage, spices, and cabbage. 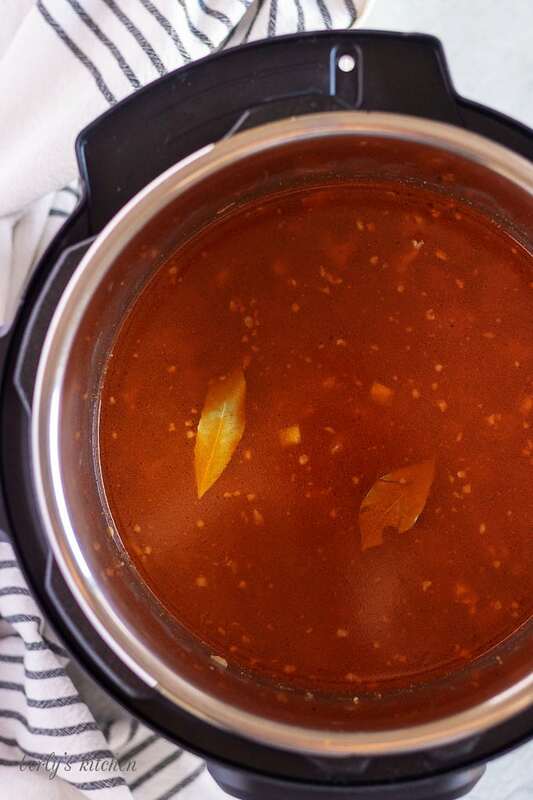 This quick and easy Instant Pot version will be the newest addition to your weekly dinner menu. Have you ever made traditional cabbage rolls? It’s quite time consuming. We have a cabbage roll recipe that John’s grandmother shared with us, but we rarely make. Unlike her spaetzle and chicken paprikash, the cabbage rolls take a really long time. First you have to boil the cabbage, then let it cool. Next, make the rice, and then make the rest of the filling. Then assembly, cooking, simmering. You get the picture. 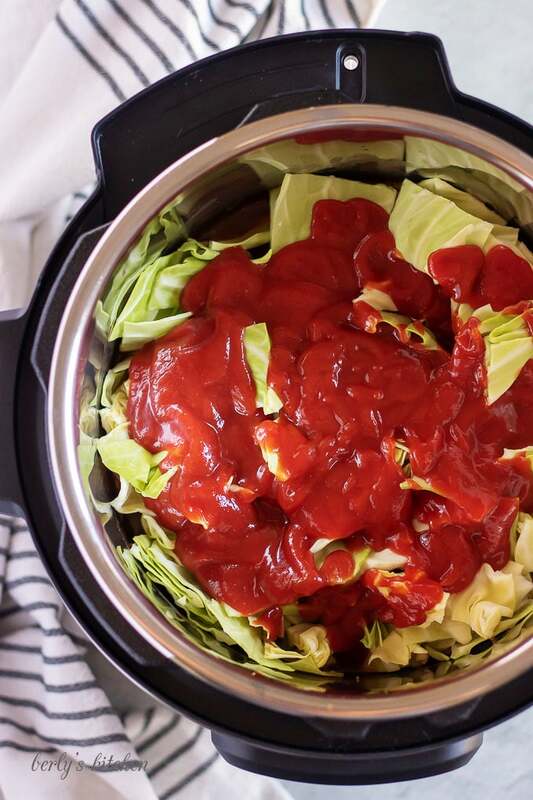 We talked about recreating her recipe as a cabbage roll soup of sorts, but it turned into this Instant Pot unstuffed cabbage roll recipe instead. I’ll add some tips later in the post explaining how to make the soup. It’s easy peasy and only takes one small tweak of this recipe. As for this recipe, it is incredibly simple and will be a family favorite. 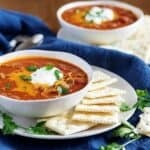 It’s perfect comfort food for cold winter days. Start by preparing the ingredients. Once the cooking starts, it goes rather quickly. Turn on the Instant Pot, and allow the liner to get hot. Add the onions, ground beef, ground pork, salt, paprika, onion powder, garlic powder, and pepper. Break up the meat into small pieces, and cook until both the ground beef and ground sausage are cooked through. Turn off the Instant Pot, and add the beef broth, bay leaves, and rice. Stir the mixture to combine. Next, add the chopped cabbage, and try to layer it evenly. Pour the ketchup and tomato sauce on top of the cabbage, but do not stir. All the liquid needs to stay at the bottom of the liner to keep the unstuffed cabbage rolls from burning. Tomato based ingredients need to be placed as close to the top as possible since they tend to be higher in sugar content and very thick. Close the lid and set the valve to sealing. Use the manual (pressure cook) button to adjust the time to 5 minutes. After the 5 minutes are over, allow a 10 minute natural release before opening the valve to release the remaining pressure. It is possible to complete a shorter natural pressure release. However, there is a lot of starch in this recipe. Be very careful if you decide to open the valve early. It’s possible that a starchy, tomato-type liquid may spew out. After all the pressure is released, carefully remove the lid (the contents may still be boiling). Stir the unstuffed cabbage rolls to mix all the ingredients. 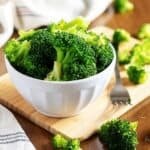 Serve hot with a side of bread or your favorite salad. 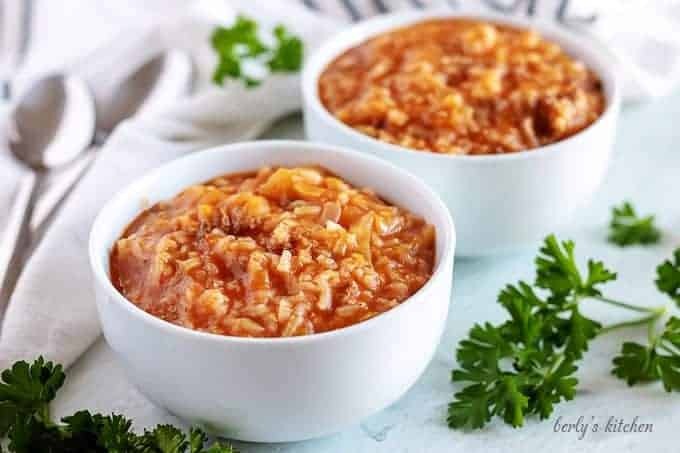 Like I mentioned above, the original intent of this recipe was to make an Instant Pot cabbage soup or Instant Pot unstuffed cabbage roll soup, but we took a different route. 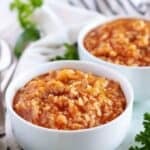 However, it is super simple to make an adjustment and turn this recipe into an easy unstuffed cabbage roll soup. This dish is already thick and hearty and gets thicker as it cools. The white rice really soaks up the beef broth nicely making the consistency more like a rice bowl rather than a soup. While testing the recipe, we added additional broth and that helped thin out the consistency without compromising flavor. In order to make this more of a stew or soup, simply add more beef broth. It can be added before pressure cooking or afterwards. We prefer afterwards, so we can adjust how much is needed to achieve the desired thickness. If you don’t care for beef and/or sausage, use another ground meat in equivalent amounts. If you use a lower fat meat, such as chicken or turkey, add a cooking oil to the liner before adding the meat. We have not tested this recipe using anything other than white rice. Brown rice will likely require additional time and liquid. However, since it has not been tested, I cannot give exact amounts. Ketchup can be substituted for tomato sauce or tomato sauce for ketchup. Tomato soup would also work in a pinch. Keep in mind that ketchup has additives and flavorings that tomato sauce and tomato soup don’t have. Additional seasoning like vinegar and Worchestire sauce may be needed. If your Instant Pot has enough space, feel free to add more cabbage if you’d like. Pre-packaged, shredded cabbage may be used in equal amounts. It will be extremely soft and lose texture after it cooks since it’s already cut into small pieces. Any flavor of broth may be substituted for beef broth. Other great options are bone, chicken, or vegetable broth. Stocks would also be another option. 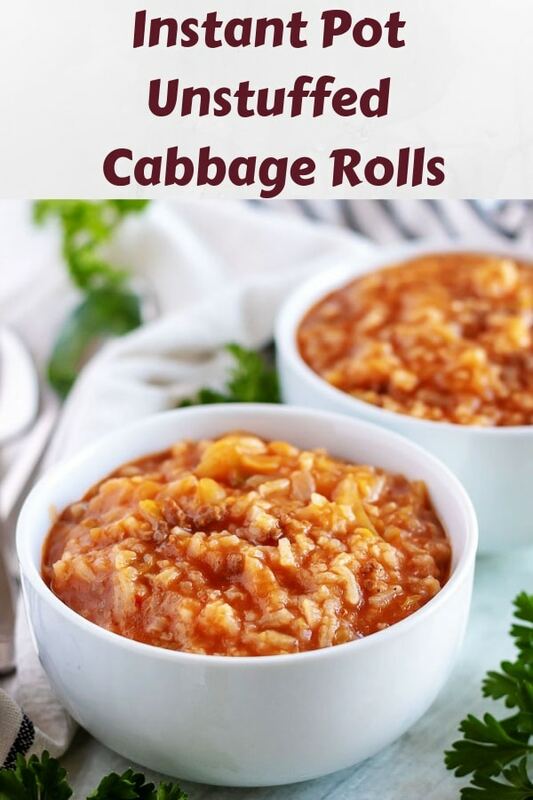 If you like this Instant Pot Unstuffed Cabbage Rolls recipe, please leave us a comment and rate the recipe card. You can also find us on Facebook, Pinterest, Twitter and Instagram searching for Berly’s Kitchen! Unstuffed cabbage rolls are a savory blend of rice, tomato sauce, ground beef, sausage, spices, and of course, cabbage. 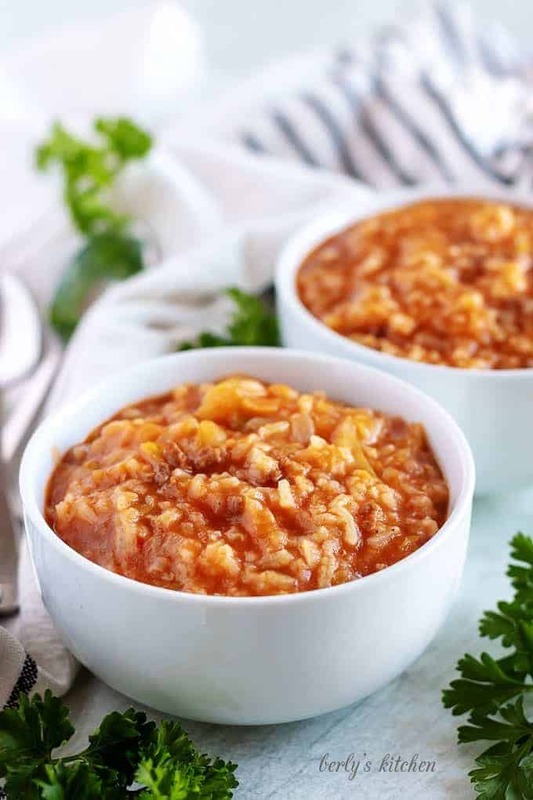 This quick and easy Instant Pot version will be the newest addition to your weekly dinner menu. Turn the Instant Pot on saute, and wait for the liner to get hot. Add the onions, ground beef, ground pork, salt, paprika, onion powder, garlic powder, and pepper. Saute until the meat is cooked completely and no pink remains (about 5-7 minutes). Turn off the Instant Pot, then add the beef broth, bay leaves, and rice. Stir to combine. There should be plenty of liquid to more than cover all the contents of the pot. Do not stir the next ingredients. Layer them in this order. Add the cabbage in an even layer, then pour the ketchup and tomato sauce on top. Close the lid and make sure the valve is set to sealing. Use the manual (pressure cook) button to adjust the time to 5 minutes. After the time is up, allow a 10 minute natural pressure release before opening the valve to release any remaining pressure. Open the lid, and stir the contents. Serve hot. Store any leftovers in the refrigerator for up to 3 days. *The calories listed are an approximate and are based on the ingredients used and serving size of about 1 cup. *Please see post for additional information regarding the recipe, tips, and substitutions. 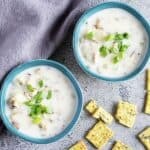 *A 6-Quart Instant Pot Duo was used in this recipe. We cannot give advice on increasing or decreasing the volume, since we have not tested the recipe in another size pressure cooker.